Variety is the spice of life and the island of Bangka is certainly spicy! Situated in the divers’ paradise of North Sulawesi, it is surrounded by the Pacific Ocean, the Celebes Sea and the Moluccas Sea. 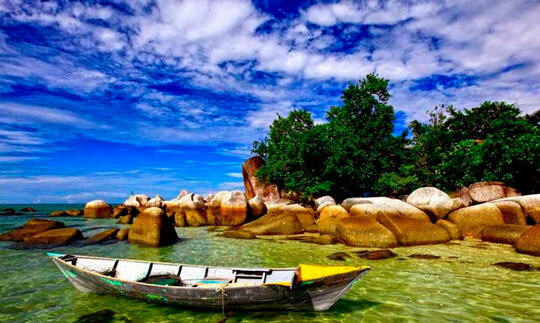 Bangka is part of an island group together with Kinabohutan, Gangga, Talisei and Tindila. 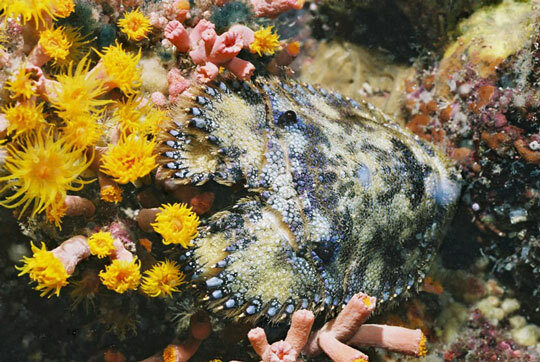 Pelagics, reef fish, critters, large species and colourful corals festoon the sloping reefs and spectacular pinnacles. 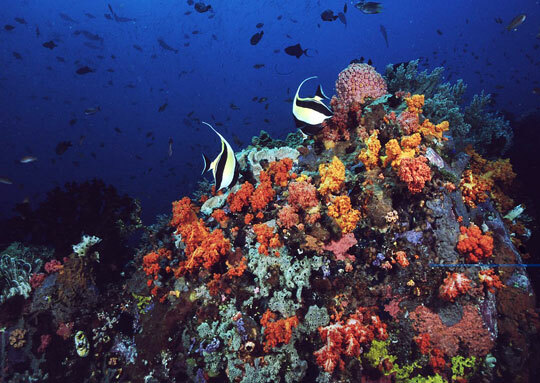 The healthy reef life here includes soft corals, sea fans, sponges, table corals and tree corals. 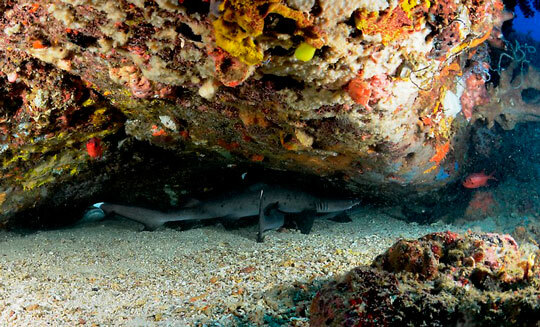 Rock pinnacles are patrolled by reef sharks, tuna, fusiliers and mackerel. 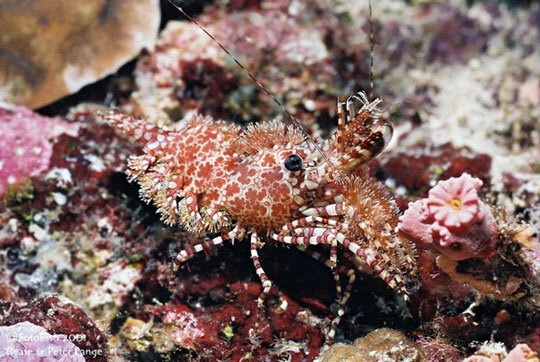 Keep your camera on hand to snap the variety of pygmy seahorses, harlequin and tiger shrimps. 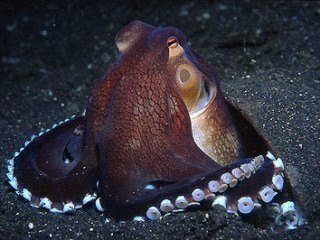 Take a moment to marvel at the dexterity and beauty of the numerous octopuses that call the island home, including the blue ring, mimic and wonderpus. The resident dugongs may even come out to welcome you if you are lucky. If the planets align, you may also get to swim with dolphins and pilot whales! Depending on the direction of the current, your divemaster will choose which side of the site to begin your dive. As you descend to the sandy base of the pinnacles at 40m you will get a glimpse of the vibrant yellow, green and red soft corals that carpet the pinnacles that you will explore in more detail as your dive progresses. You should be prepared for moderate to strong currents during your dive while enjoying fantastic visibility of 20-30m. The topography of the site alone is interesting with the vertical cracks and caves within the pinnacles. 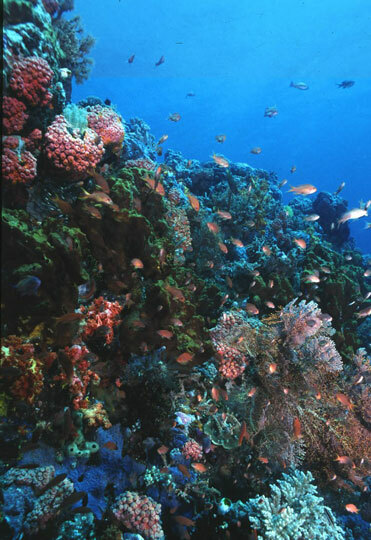 Here there are many sheltered spots where you can escape the current and inspect the corals for hidden critters. 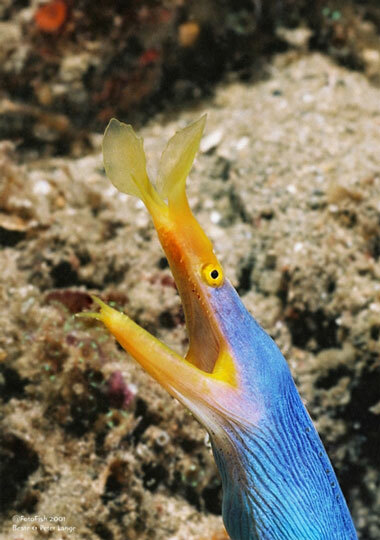 This site is known for a wide variety of gastropod molluscs, a highlight being Spanish dancers as well as morays and scorpionfish. 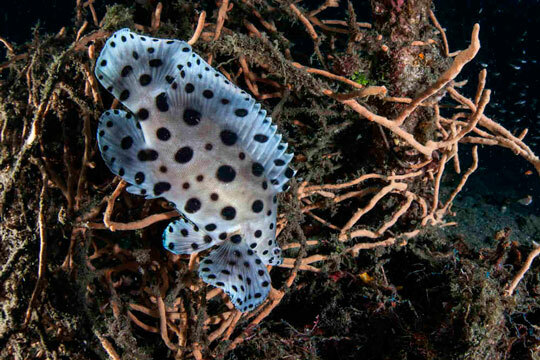 Other residents of the dive site are schooling bannerfish, sweetlips, red-tooth triggerfish and platax batfish. When you have explored the pinnacles and are ready to go with the flow, allow the current to take you on a ride between the structures while you look out into the blue for whitetip and blacktip reef sharks, turtles, groupers, mackerel and dog-tooth tuna. The apex of the pinnacles is covered with about 5m of water, allowing for the perfect safety stop where you will be entertained by the numerous smaller fish against the backdrop of a kaleidoscope of soft corals. In addition to the abundant macro life, another major feature here are the colossal sea fans at around 20m and on top of the reef a series of sea fans in hues of pink and red. At Batu Mandi there is no great variation in depth so diving here normally takes the form of a nice and easy shallow dive. 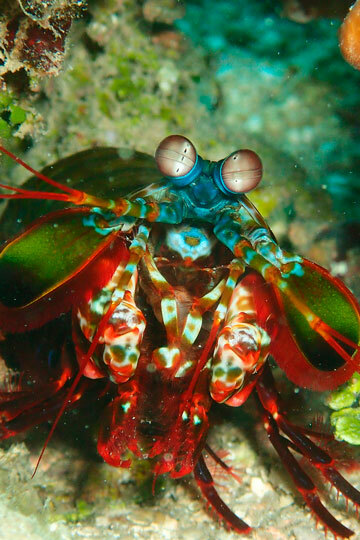 The best time to dive Batu Pendeta is from April to November, however it is possible to experience this amazing site year round. 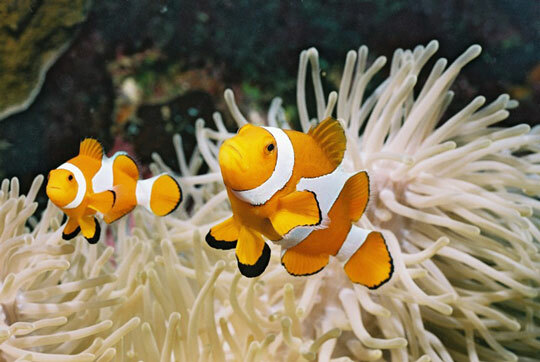 Creatures to encounter here include angelfish, triggerfish, butterflyfish, fusiliers and unicornfish. Your senses will be heightened by the spectacular deep blue backdrop, creating contrast to the explosion of colour of the corals decorating the pinnacle. As you move into the blue, you will appreciate the visibility of 20-30m and the opportunity to see dogtooth tuna, jacks and a variety of sharks. 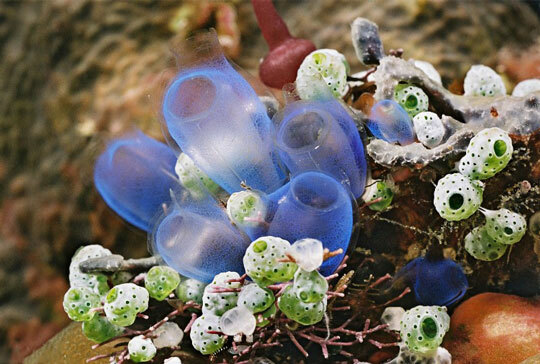 There is a drop-off with canyons at the plateau, at about 15m, where you can avoid the current and enjoy the daily happenings of the resident marine life. Your dive time will fly by as you are mesmerised by the marine pantomime taking place on the other side of your mask. 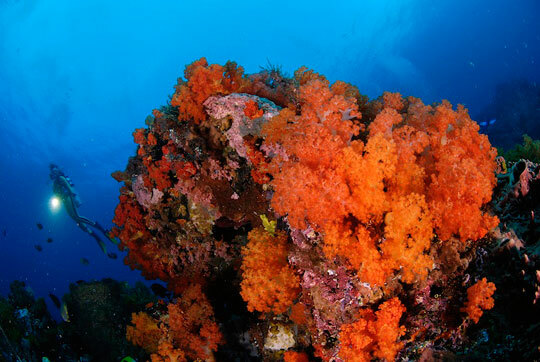 As you will have come to expect, this is another opportunity to marvel at the prolific, healthy coral. Here large gorgonian sea fans and tree corals take centre stage. 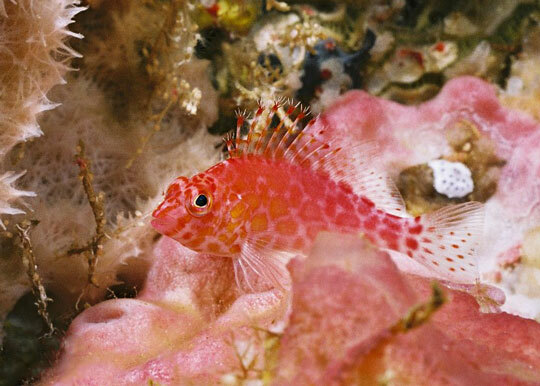 If you are astute at spotting them, you won’t get to see just one pygmy seahorse. There are different species present here and this is your opportunity to be able to include many in your log book for future bragging! 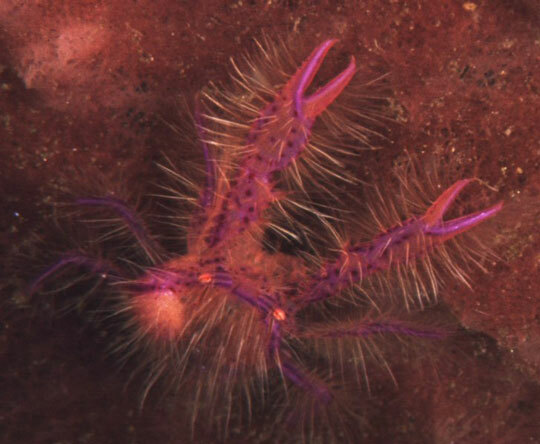 You will hardly notice that you are on your safety stop as you will be distracted by nudibranchs within the corals and the plentiful giant basketstars. The maximum depth is 25m and the visibility is much less than the other Bangka sites, at 5-10m, making it more suitable for advanced divers. Locals also refer to this site as 'Sabora'. You will descend to approximately 20m to the sandy bottom that you will explore for the duration of your dive, before ascending for your mandatory safety stop at the end of the dive. 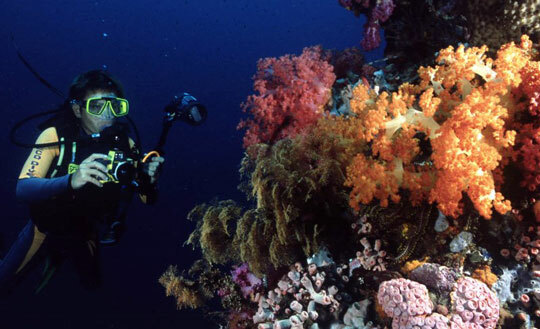 The topography is bland in comparison to the other more visually spectacular dive sites of Bangka, with the seabed only peppered with small coral bommies and large anemones. 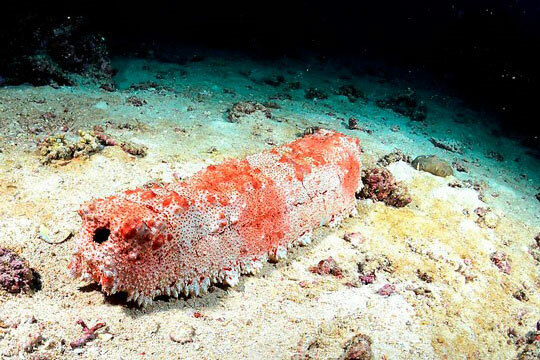 It makes up for its desert-like appearance with its unusual residents. These include both the large and the minute! 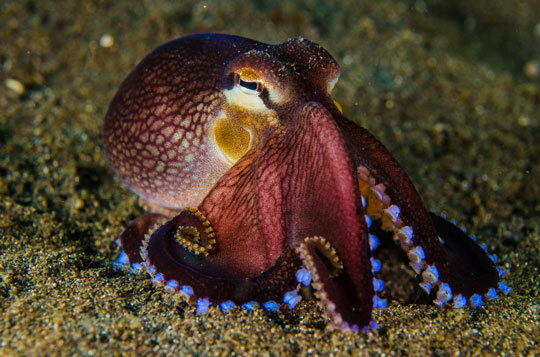 Macro enthusiasts will appreciate the opportunities to capture photos of a variety of critters, including the deadly blue-ringed octopus, and will have to quickly adjust their camera settings as a gentle dugong swims into view. Some of the resorts in North Sulawesi will take you to the dive sites of Bangka Island for an additional fee to cover fuel expenses. 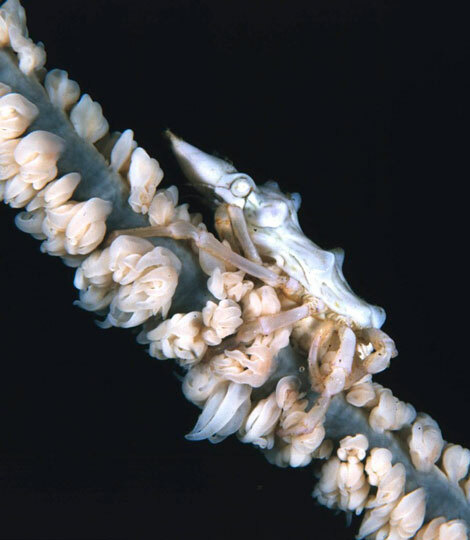 The resorts are based in the Lembeh Strait and Bunaken Island. You can also visit from on dive day trips Manado. But a single day trip here will not give you the full picture. 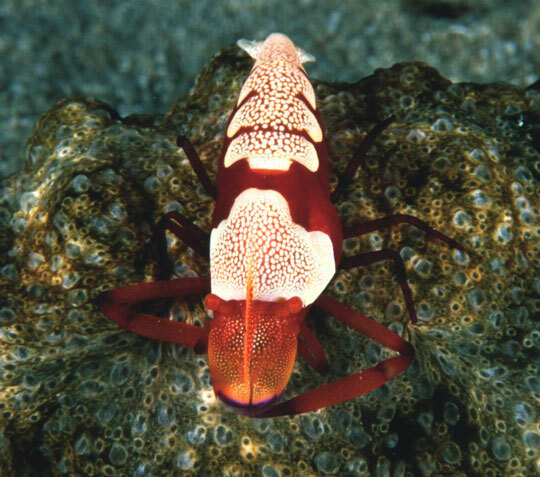 The best way to experience all that Bangka has to offer is to join a Manado liveaboard dive safari, which would also likely visit such places as Lembeh, Bunaken, and possibly the Sangihe Archipelago, Gorontalo and the Togian Islands. 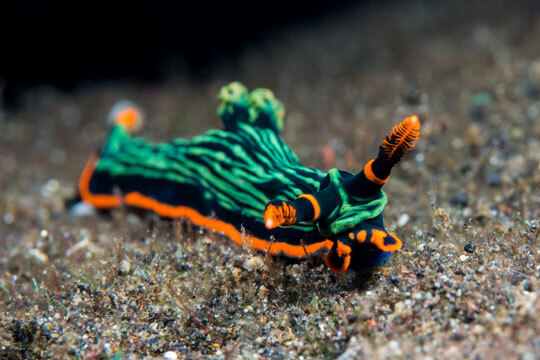 For more information on your options, and all the other travel information you might need to visit Indonesia, review our North Sulawesi dive resort section. You can dive here in Bangka all year round but the conditions do vary. March to June is dry season and the visibility is at its best. November to December is generally wet and July to October is windy, both having reduced visibility. Liveaboard season in the Bangka area runs year round. Where is Bangka Island and How Do I Get There? Review our maps below of Sulawesi, showing the location of Bangka, and its host country Indonesia. Here, you will find information on how to get to Manado, and then on to Bangka.